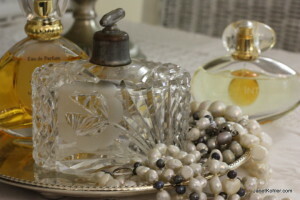 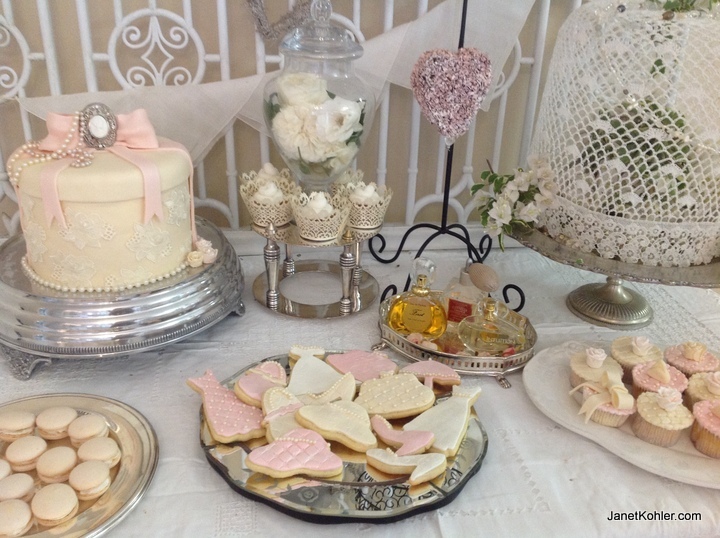 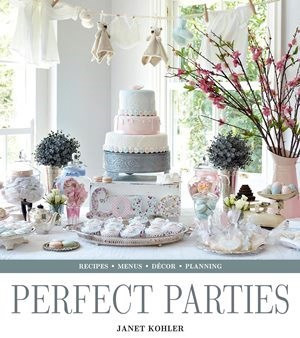 Here are a few ideas for a vintage bridal shower. 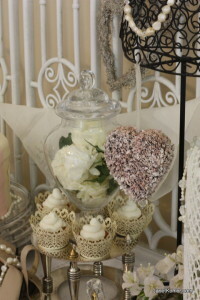 This is an old fashioned “dress up” theme with the cupcakes and biscuits reflecting this. 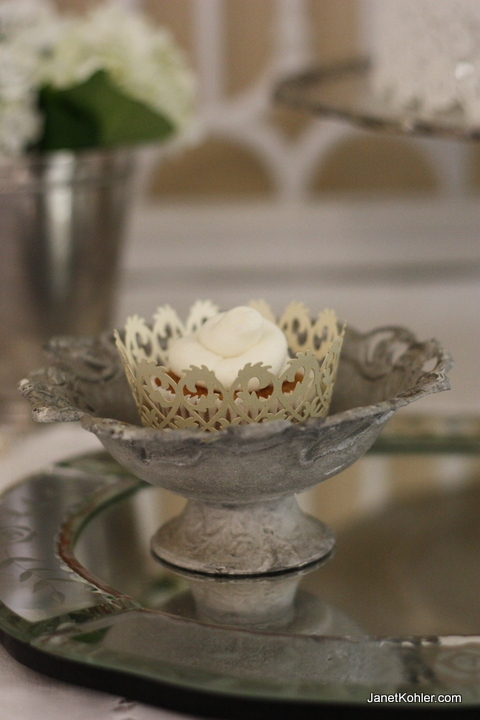 A lace hat-box cake completes the theme. 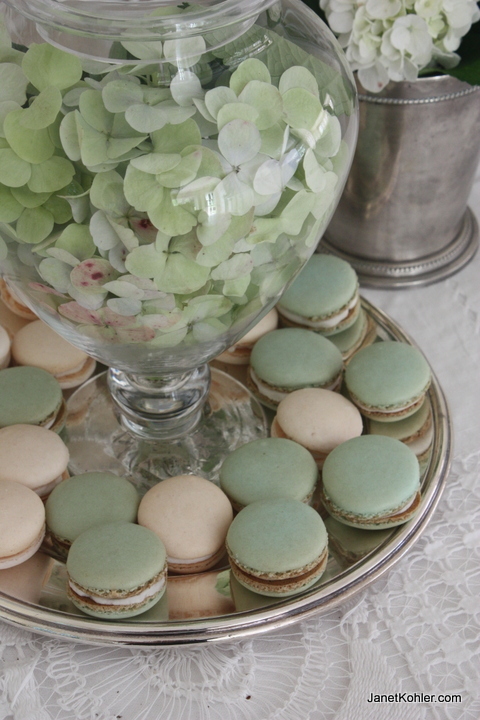 The colours of the macaroons reflect the colours of the flowers on the table. Stylist Penelope Mitchell says you should look for inspiration from the things around you. 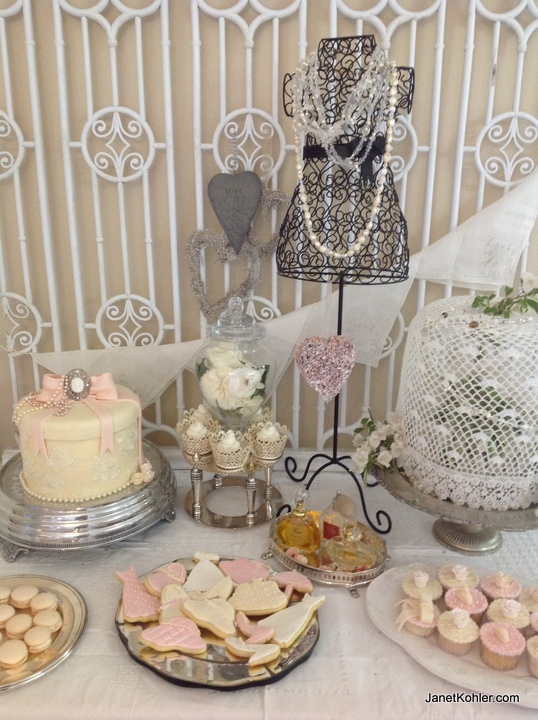 She spotted this Victorian balustrading that a neighbour had discarded, and used it as an effective backdrop for the food table. 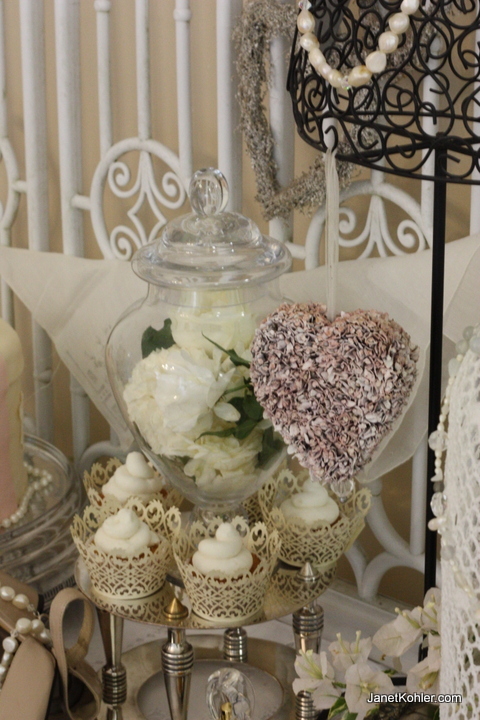 Vintage serviettes were then used as bunting against this backdrop.